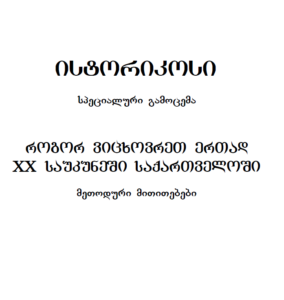 This complementary resource, available in Georgian and Russian languages, is targeted at students from 9th to 12th grade and gives evidence of the capacity of the authors and editors in the EUROCLIO/GAHE Project “Tolerance Building through History Education in Georgia” to develop practical classroom material. 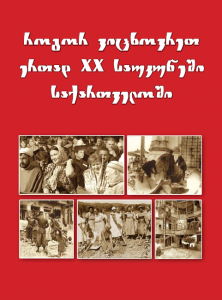 It aims to make history an engaging subject for students by presenting them in a lively way “why”, like the introduction to the book says, “people with different ethnic and religious identities considered themselves part of (the Georgian) society, and what have made them feel marginalized”. 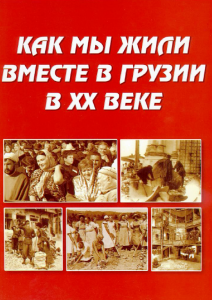 This book seeks to tell you how we, with differing ethnic and religious backgrounds have lived together in the 20th century in our home country Georgia. This book will encourage you to think how important historical events from the previous century reflected in our shared lives. You may also probably ponder why people with different ethnic and religious identities considered themselves part of our society and what have made them feel marginalized? How did the ethnic and religious minorities manage to preserve their identities? What has encouraged or hindered this process? What was the input of the minorities in the Georgian history of the 20th century? To comprehend these questions the book offers a variety of sources which are grouped around the four groups – Multiethnic Georgia, Family and Everyday Life, Migration, and Religion. Peaceful coexistence, understanding, mutual respect and insights into other cultures, traditions, and values are starting point of a country’s successful development. Every worksheet has a key and an overall question, as well as the wide range of sources and tasks. The key question helps to identify the main idea of the worksheet and the overall question initiates discussion and conclusions. The various sources often suggest multiple perspectives. The tasks will encourage you to take your own approach to the issues. Many people were involved in creating this book. The authors with different ethnic and religious backgrounds shared the same intention. 9. The Garden of Eden in "Southern Siberia"
Elisabed Chubinishvili, Nina Zulumiani, Manana Shekiladze, Evelina Mamedova. Nino Chikovani Marlen Shengelia, Zurab Laoshvili, Seda Melkumiani, Nona Chigladze, Elene Bodaveli, Nana Sologashvili, Ketevan Kvlividze, Shorena Khetsurian, Naira Mamukelashvili, Nugzar Molashvili, Nargiz Nabieva, Elura Alieva, Madona Mikeladze, Nana Agasashvili, Lamara Margoshvili, Maka Kirvalidze, Tsira Chikvaidze, Ia Khubashvili, Lela Kakashvili, Otar Janelidze, Amiran Jamagidze, Beso Lortkipanidze, Natia Pirtskhalava, Ketevan Sturua, Natia Namicheishvili, Nugzar Bardavelidze.